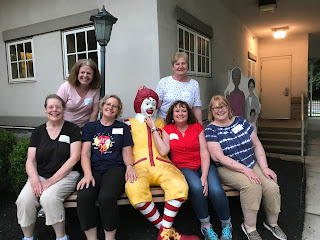 Lambs serving at Ronald McDonald House! Trying not to get a complex here, but it does seem like I’m around for “closing time” at a lot of small groups. At church, I have witnessed the end of Shepherd Circle, Koinonia, Mixed Nuts, and Lamb Circle. In every case, the gatherings had stuck around well past their heyday, with no one willing to step up and lead, but no one willing to end things either. I’ve noticed that this is a Lutheran tendency, and while it speaks positively to their persistence (or maybe just the force of their habits), my Christ’s buddies have a hard time saying “enough.” Indeed, many moons after its demise, I hear older folks wax nostalgic for the Luther League (the 1960’s era youth organization most of them had belonged to), and they wonder aloud why the youth of today don’t just bring it back. I picture our modern teens, overextended and overtired, juggling school obligations, sports and, often, jobs, and how they would probably react to one more activity (hint: not with glee). Women’s circles have much to recommend them: a shared focus on service, often Bible studies or other discussion topics. But, beginning with Shepherd Circle (the young moms who, in the late 1980s, didn’t work outside the home and could meet in the morning), circles just haven’t panned out long-term for the Baby Boomers. 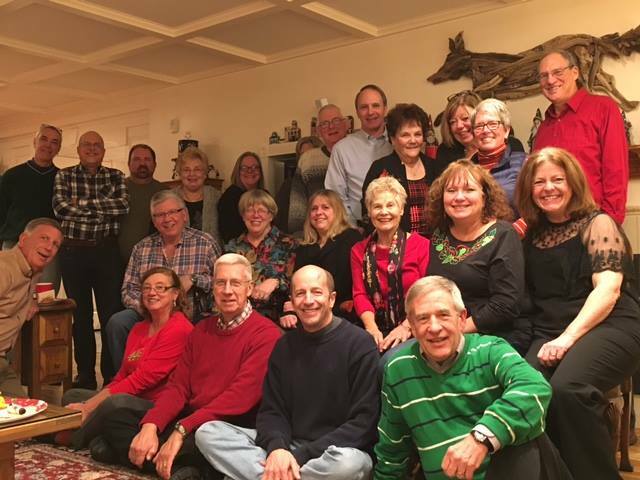 Some Shepherd grads later began Lamb Circle, and for years we met monthly, at night. Topic leader rotated, as did goody bringer, so it wasn’t really a burden. 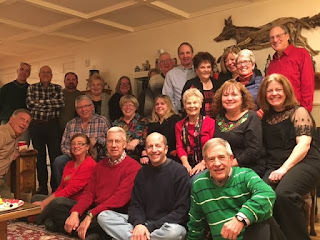 But at a certain point, we realized that we already saw lots of each other in other settings, and that two new small groups (Wonderful Wednesday and Pub Theology, both still thriving) filled the discussion bill for most of us. Koinonia (Greek for ‘fellowship’) was one of those mystifying words on the church calendar (“Koinonia 7:00 PM” ??) when I was a new member. I eventually learned that it was a limited small group (12 people), led by Pastor Carlson, that met twice a month in people’s homes. No one else could join until someone left, so we waited for our invite. We really loved Koinonia; eventually the pastor moved on, and it folded. Mixed Nuts was purely social, and we credit it for helping us make many friends when we first joined the church. Over time, the monthly, themed get-togethers (Mardi Gras! Murder Mystery Night!) dwindled, until these particular nuts stopped mixing. An attempt was made to revive it recently, but it never made it past the first social. So what’s the answer? No more small groups? Au contraire! In this world of superficial contacts, where we have hundreds of Facebook “friends” but a short supply of real ones, small groups are very important. What I think we need to do is acknowledge the ebb and flow of them, though, and the finite life span of any one group. Luther League may have had its day—but the day will dawn on new opportunities to be together. Promise.